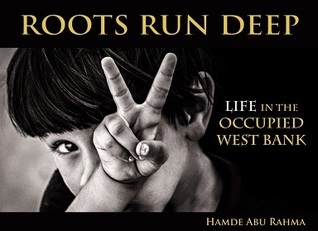 Roots Run Deep by Hamde Abu Rahma (available online or on loan in the Trunk) is a book I just discovered. Hamde, an accountant from the Palestinian village of Bil’in, became a photojournalist to document the impact of occupation after his brother was critically injured and his cousin was killed. Every page in this book has one intriguing photo and a paragraph of text. It is very accessible for all students, including visual learners, English Language Learners, and Middle Schoolers. 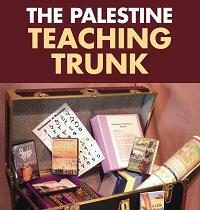 Here’s one way you could use this book in a lesson exploring Palestine. First, use the Movement Grid lesson in the Trunk (in the Dig Deep unit p. 6-9) so students discover what it is like to have their own community divided by a Wall. Then, use Roots Run Deep to explore what is happening in Palestine (with the Wall, settlements, land confiscation, house demolition, etc.). Show a picture from the book. Ask students what they notice, what they think might be going on, why they think it might be happening, what they wonder. Then read the paragraph of text to the students. Discuss. Afterwards, ask students to search for another vivid image on the web that shows a different aspect of the Israeli-Palestinian conflict. They can share with their classmates and/or write their own paragraphs about what is happening.